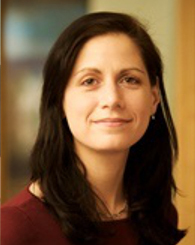 Katherine Baicker is Dean and Emmett Dedmon Professor at the University of Chicago Harris School of Public Policy. She is a research associate at the National Bureau of Economic Research and an elected member of the Institute of Medicine. She is a Commissioner on the Medicare Payment Advisory Commission, Chair of the Group Insurance Commission of Massachusetts, and a Director of Eli Lilly. Katherine's research focuses primarily on the factors that drive the distribution, generosity, and effectiveness of public and private health insurance, with a particular focus on health insurance finance and the effect of reforms on the distribution and quality of care. She is currently one of the leaders of a research program investigating the many effects of expanding health insurance coverage in the context of a randomized Medicaid expansion in Oregon. Her research has been published in journals such as the New England Journal of Medicine, Science, Health Affairs, and the Quarterly Journal of Economics, and has been featured in outlets such as the New York Times, the Wall Street Journal, and National Public Radio. Katherine earned her PhD in economics from Harvard University.